Brenda Preston bought her 1972 Jeep CJ in 1985 for $250 so that she could deliver mail in her hometown of Englewood, FL. It was a good price only made possible because the Jeep she was buying had a blown transmission. 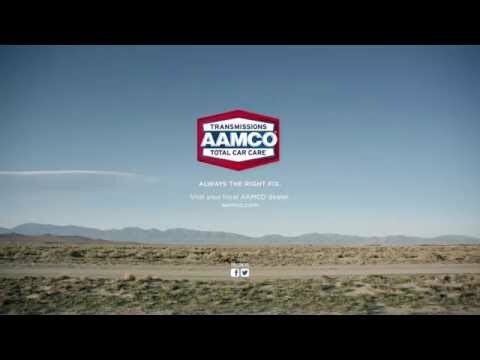 Since Brenda knew and trusted the local AAMCO, she decided she could take the Jeep to AAMCO, they could get it running and she would be in better shape than buying a more expensive used car. She took the Jeep to Bob Walksler’s AAMCO in Venice. Bob checked out the Jeep, explained to Brenda that it needed a rebuilt transmission and agreed to rebuild the Flashomatic transmission. Her itemized invoice: Labor: $212; Kit: $252 with a Car Ownership Warranty; Bushings: $34; and Torque Converter: $115.50. With tax, the total bill was $670 and Brenda was instructed to return each year for an Annual Recheck to maintain her Car Ownership Warranty. Brenda began her career with the US Postal Service in 1983 and used her Jeep to deliver the mail through rain and 100-plus degree days (sorry, no sleet and snow in Florida) six days a week from 1985 until April 1, 2010 when she retired from the Postal Service. About 3 years after the rebuild, Walksler closed the doors on his AAMCO center yet despite the closing, Brenda was assured that her warranty would still be honored at any authorized AAMCO center. So in 1988 she began taking her Jeep to the AAMCO center in Port Charlotte for the Annual Recheck every September. Through the years, Brenda would occasionally call ATI’s Customer Relations Department with requests for help. In 2004, Brenda experienced a problem with her Jeep and took it to the new AAMCO center that had reopened in Venice. The starter in her Jeep had gone out, taking out the flywheel and cracking the transmission case. Jackson Smith, the Venice franchisee at the time, agreed to absorb the labor to replace these parts and Brenda agreed to cover Smith’s cost for the parts to maintain warranty coverage. There were no subsequent problems with the AAMCO rebuilt transmission until the day Brenda retired. With retirement, Brenda had no further use for her beloved CJ and sold it to an elderly lady who needed transportation for her pet poodles. The sale price was $1,500. Brenda made a point to tell her purchaser that the Car Ownership Warranty was not transferable, but if she ever needed any work done on the Jeep to be sure to take it back to AAMCO! After all, according to Brenda, AAMCO had stood behind her and her Jeep for a quarter century and enabled the mail to be delivered in Southern Florida for all that time! Within the past few weeks, Brenda remembered that this was the time each year that she would take the Jeep in for its Annual Recheck. In order to make absolutely sure that there would be no confusion, Brenda took the time to mail to ATI every single repair and annual recheck invoice that she had kept for the past 25 years. She also included her original Warranty Booklet, a photo of her with the Jeep and even the original cancelled check along with a very gracious ‘thank you” to everyone at AAMCO who stood behind her for all of these years.